In order to start the foreclosure process, certain documents must be submitted to the Public Trustee’s office. The foreclosure begins when the Notice of Election and Demand (NED) is recorded within 10 business days after the NED and other documents are received from the foreclosing lender in the Public Trustee office. For non-agricultural property, the sale of property takes place 110 to 125 calendar days after the NED is recorded. For agricultural property, the sale takes place 215 to 230 days after recording. The longer cure period gives the property owner the opportunity to work things out. In order to cure, payment of the amounts in arrears plus costs and expenses of the foreclosure is required. On the other hand, redemption would require payment of the amount bid at sale and often the amount bid at sale is the entire amount of the secured debt which makes redemption much more costly. The owner will no longer have the ability to redeem property after the sale. Only lienors or assignees of lienors may have a right to redeem. Redemption rights are available to holders of interests that are junior in priority to the lien foreclosed. To prevent misuse of the redemption process, the junior lien must have been recorded prior to the NED. The lienor must file a notice of intent to redeem within eight business days after the sale. After the end of all redemption periods, a Confirmation Deed is issued to the Certificate of Purchase holder or the last redeeming lien holder. Title vests free and clear of all liens and encumbrances subordinate or junior to the foreclosed lien. Foreclosure sales are conducted each Wednesday promptly at 10:00 a.m. at the office of the Weld County Public Trustee at 1701 23rd Avenue, Suite 250, Greeley. 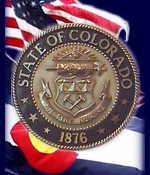 A listing of all foreclosures going to sale is available for viewing at the Public Trustee office or on the Weld County Public Trustee web site. This article is not intended to serve as legal advice but is informational only. To learn more about the new law and the foreclosure process, refer to Title 38 of the Colorado Revised Statutes or consult with your own legal counsel.